Nader has been practicing law for almost 20 years. He is an experienced trial attorney representing individuals and businesses for a variety of legal matters. He has a reputation as a relentless advocate for his clients. Within his third year of practice, he earned the Judge’s Trial Advocacy Award in the Arlington County Juvenile & Domestic Relations Court (2003). 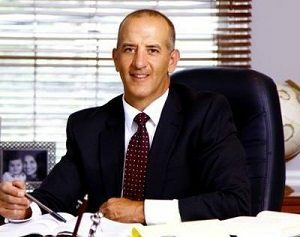 While primarily working as a trial attorney in child custody and criminal matters, Nader also served as a certified Guardian ad Litem for over 10 years, in both Arlington and Fairfax counties, representing children that were the subjects of child abuse and/or neglect cases, custody disputes, and delinquency/truancy issues. Nader also has experience representing juveniles in public school disciplinary and expulsion hearings. Nader also has extensive experience in business development and management. He owned and managed a successful law practice with multiple locations and associate attorneys for 19 years, and he currently owns a restaurant in Fauquier County. He previously owned a restaurant in Washington, D.C., and has taught Hospitality Law & Management at the Northern Virginia Community College since 2004-2005 school year. Nader easily gains the trust of his clients with his keen understanding of business, his ability to quickly identify the problem and provide practical and efficient solutions. Along with teaching, Nader enjoys serving as an assistant coach for Fairfax High School sports teams. He currently serves as an assistant coach for their golf team (2014-present) and previously served as an assistant coach of the wrestling team (2001-2008). Nader has also volunteered his time helping students from local high schools interested in entrepreneurship, he previously volunteered in the Arlington Youth Leadership Program for many years, and he also volunteered for high school senior mentoring programs.